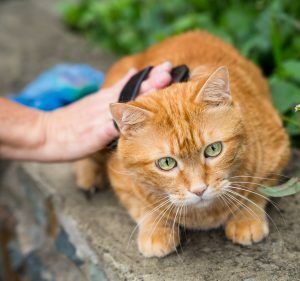 It’s a common scenario: One minute your sweet kitty is snuggled in your lap, purring away as you absentmindedly stroke his or her soft fur, and the next thing you know your little buddy has turned on you and is now ferociously biting the hand that was petting it so gently just seconds before. You shout, leap to your feet, knock over your beverage. Kitty darts off your lap and out of the room, leaving both of you shaken and annoyed.